How to use Screenshot Monitor in an office? 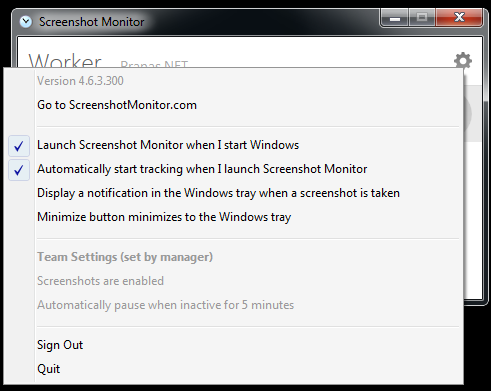 How to use ScreenshotMonitor in an office? ScreenshotMonitor is great for installing in an office to see where employee’s time goes. Note that you can NOT do it in secret – the employees will know that the program is running and tracking time and screenshots – and that is a good thing. SSM has Autostart and Autostop options – it stops automatically if they are away (for example left for lunch or at the end of the day) and will resume once they resume the work. Read more about settings set by a manager on the web and desktop application settings set by a user in the program.